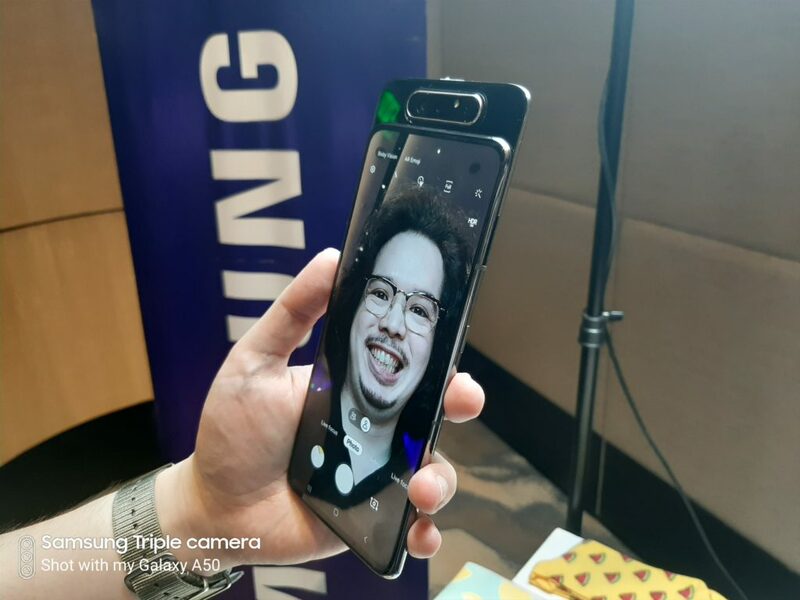 Samsung finally reveals the new Galaxy A80 – a smartphone created for the way people are engaging in the Era of Live. People are increasingly using their smartphones to share live interactions – capturing spontaneous photos, streaming live video and connecting over shared experiences that are happening right now. 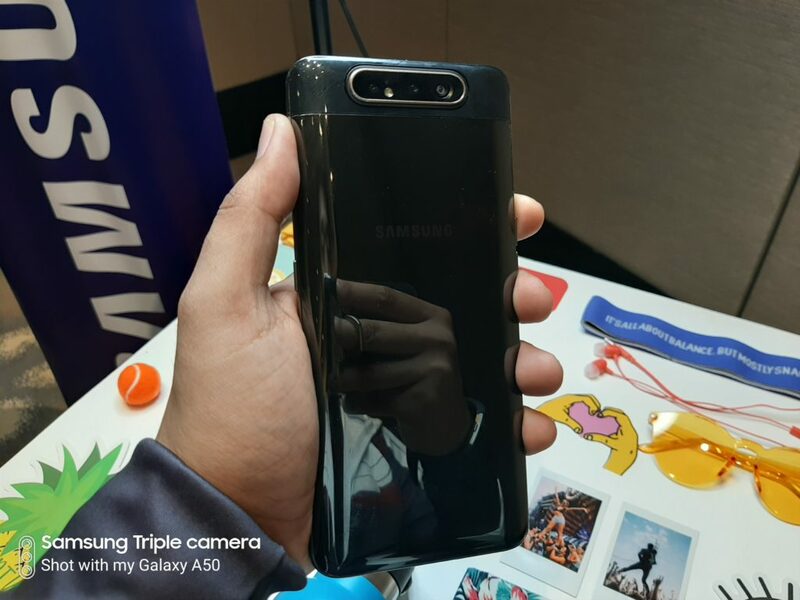 The Galaxy A80 offers compelling innovations: a captivating, full-screen display, Samsung’s first revolutionary rotating camera and an intelligent battery. It also features the 6.7-inch FHD+ Super AMOLED screen paired with Dolby Atmos that lets you lose yourself in the sound with a 360-degree audience experience when using earphones or Bluetooth speakers. The Galaxy A80’s 3,700mAh battery and its Super-Fast Charging at 25W which keeps you connected for longer and give you more freedom by allowing you to charge your phone quickly.